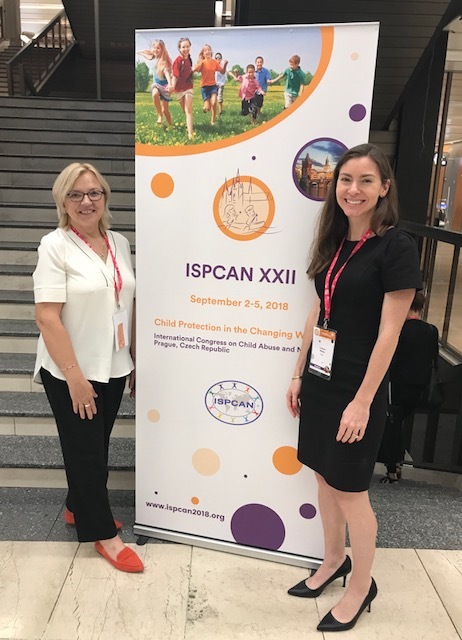 Silberman School of Social Work professors Ilze Earner (pictured, left) and Colleen Henry (right) presented research this week at the 22nd Congress of the International Society for the Prevention of Child Abuse and Neglect (ISPCAN) in Prague, Czech Republic. The ISPCAN Congress convenes researchers and practitioners from all over the world who, like Professors Earner and Henry, are committed to child welfare. Their contributions reflect the global reach of the Silberman and Hunter College community.